While it is up to individual wineries on how they deal with reduced federal excise taxes, industry leaders expect those savings to be reinvested in their operations. Changes in the federal excise tax on wineries went into effect on Jan. 1, following strong bipartisan support in Congress for the Craft Beverage Modernization and Tax Reform Act. “It is so much simpler than (the tax structure) was before,” said Josh McDonald, executive director of the Washington Wine Institute in Olympia. Leaders for WineAmerica, the industry’s only nationwide public policy advocacy organization, pointed out the wide support for the bill. 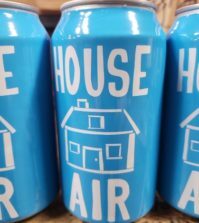 Previously, the federal government taxed wine at between $1.07 and $3.40 per gallon based on alcohol content and carbonation level. The old law had a so-called “small producer tax credit” for wineries producing less than 250,000 gallons a year. That previous tax credit was 90 cents a gallon for the first 100,000 produced. Then, there was a shrinking sliding scale from 150,000 to 250,000 gallons. Starting Jan. 1, the new law applies the tax credit to wineries of all sizes — from small to large. $1 credit per gallon for the first 30,000 wine gallons produced. A 90-cent per gallon credit for the next 100,000 wine gallons produced — meaning the 30,001st gallon to the 130,000th gallon. A 53.5-cent per gallon credit for the next 620,000 wine gallons produced — meaning the 130,001st gallon to the 750,000th gallon. All wine production beyond 750,000 gallons is taxed at the regular rate. Also, the new law allows tax credits for sparkling wines. The new law changes the rates that wine is taxed because of alcohol content. Previously, wine containing 14 percent or less of alcohol was taxed at a rate of $1.07 per gallon — translating to 21 cents a bottle. The new law increases that alcohol threshold for the $1.07 rate to 16 percent, which McDonald said brings more Washington table wines under the small tax rate. Wines with alcohol by volume of 16 to 21 percent are taxed at 31 cent a bottle. Those wines at 21 percent to 24 percent ABV — which is rare in the U.S. — lead to a federal excise tax of 62 cents a bottle. 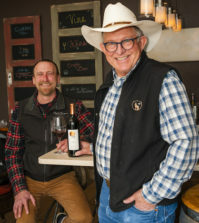 Trezise and Michael Kaiser, vice president of WineAmerica, both speculated that the changes in taxes are unlikely to lead to cheaper prices on bottles of wine. Rather, those national leaders expect winery owners to use those savings on equipment and hire staff, which will help winemakers produce better wine and customers to receive better service. McDonald echoed that speculation. 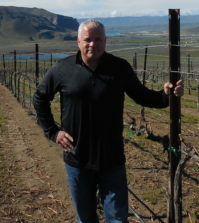 “The money is not significant enough for wineries to lower their prices,” Kaiser said. 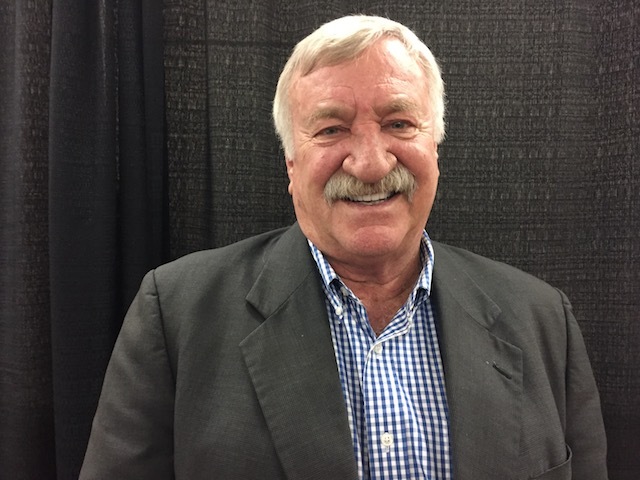 Trezise explained, “There is nothing defining what wineries can or must do with their savings, but my belief (based on many conversations) is that the vast majority will invest in their businesses — new employees, more cooperage, increased marketing, etc. — rather than lowering prices. However, the new law — with the new tax credits — will expire in two years, reverting the style back to what existed in 2017. 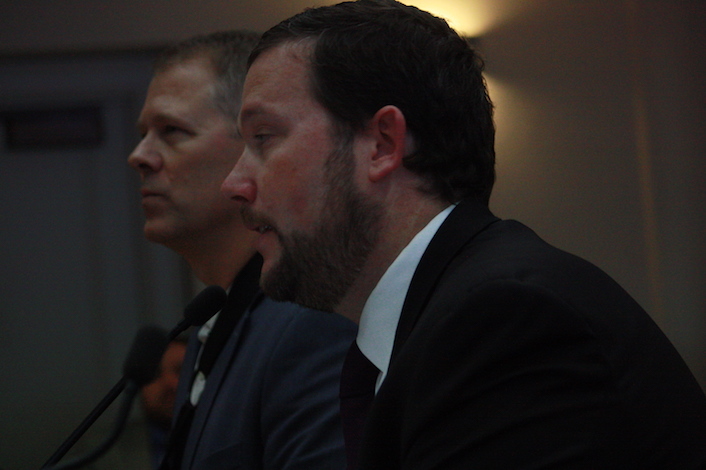 Kaiser said some in Congress were concerned about lost revenue to the federal government, adding that a definite dollar figure has not been pinned down. He believed the 2019 Congress — following this November’s elections — will likely tackle that issue on whether the two-year life of the law should be made permanent. WineAmerica supports a permanent law without an expiration date. “It’s not over yet,” Kaiser said. 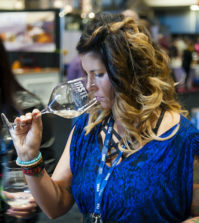 Trezise took the opportunity to encourage more wineries to join Wine America. The 600-member group lists its Northwest membership at 42 — Washington (26), Oregon (11) and Idaho (five). The Washington Wine Institute also is encouraging more people in the wine industry to join its ranks. Its board of directors includes president Marty Clubb (L’Ecole No. 41), Keri Leitch (Ste. Michelle Wine Estates), Shylah Alfonso (Pomum Cellars), Gaye McNutt (Cadence Winery), Julie Grieb (Treveri Cellars), Craig Leuthold (Maryhill Winery), Greg Lipsker (Barrister Winery), Ken Cain (Tsillan Cellars) and Mike Conway (Latah Creek Wine Cellars). • Eric Degerman contributed to this report.